Some of us from Kutztown U are heading for Prints Gone Wild 2010 at Secret Project Robot, 210 Kent, Williamsburg, Brooklyn. The directions are hard to find, and according to Secret Project Robot’s website the Google directions are wrong! So I’ve cut and pasted the subway instructions here: Directions: L train to Bedford Avenue; walk towards Metropolitan Ave. On Metropolitan turn and walk towards the water. Located on the corner of River and Metropolitan. River St. is one street below Kent. The entrance to Secret Project Robot is through the arch doors on the Loading Dock. 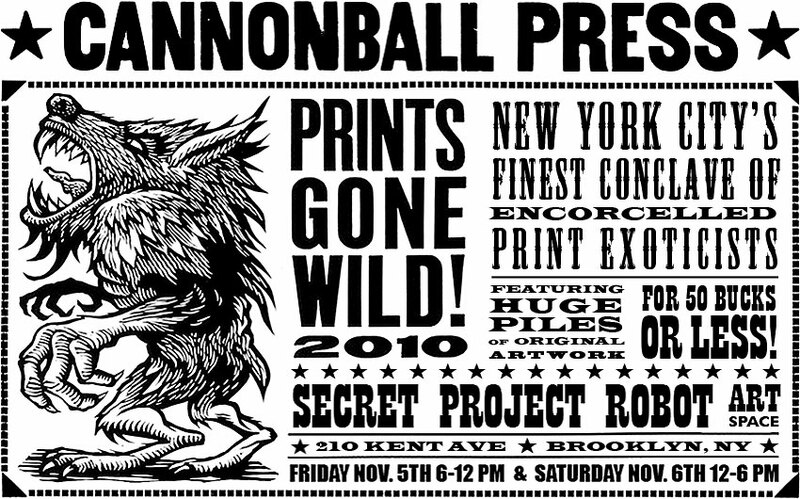 Cannonball Press hosts Prints Gone Wild, a show and sale of new prints priced within reason! 50 bucks or less. Yee-Haw Industries will be there. 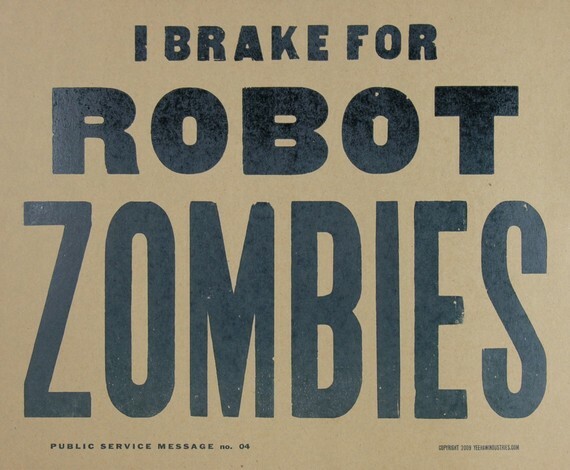 A sample of their letterpress work appears above. Sean Starwars, see below, will be in attendance, with James Chase assisting. 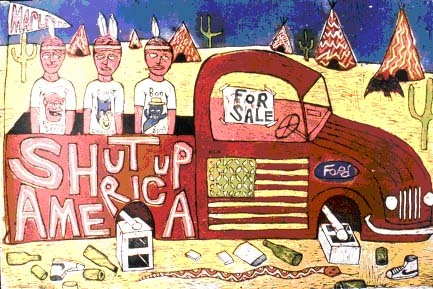 Tom Huck’s Evil Prints (Huck, Lovell and Julia Curran) and Evil Bootcamp alumni will be there, and, I think, Pittsburgh’s TugBoat Printshop and JustSeeds, too. Too much excitement! PRINTS GONE WILD: Fri. Nov. 5th, 6pm-12am, Opening reception. Sat., Nov. 6th 12-6pm, Print Fair. Next > What’s SpongeBob Really Like?